Everybody likes a bargain and, as the retail world becomes increasingly competitive, there are more and more ways to save money on your shopping. From discount vouchers to loyalty schemes, sensible shoppers are making the most of all of the money saving opportunities available. Shoppers can now enjoy discounts without the hassle by using apps such as Honey. 2. How to use Honey app? 3. Where can I shop with Honey? Although Honey is not yet available for mobile users, plans are in place to add this option in the near future. First things first, you need to install Honey on your laptop or desktop computer – don’t worry, it’s really quick and easy! Launch your browser and go to Joinhoney.com. Click onto ‘Add to Chrome’ (or your chosen browser). Honey will then automatically download the right extension for you. Hit ‘Add extension’ or ‘Allow’ if prompted by the site. Click onto ‘Join with Facebook’ or ‘Join with email’ to get access to extras like Honey Gold. Step 1 : Go to your chosen shopping website and browse for products and add items to your cart as you would normally but don’t check out just yet. Step 2 : Click onto your shiny new Honey icon to view all coupons which are available for the store you’re shopping on. Step 3: Hit ‘Apply Coupons’ – if there are any discounts available for your store, these will now be added to your cart. Step 4: Click onto ‘Continue to checkout’ and complete the process in the usual way. You’ll see that the discounts have been applied and subtracted from the total amount payable. At the moment, there are a number of online outlets which support Honey as outlined below. If your favorite store isn’t included, don’t worry – Honey is working to add to the list so your store may be available soon. Easy to intall. The Honey app is really easy to install onto your laptop or desktop computer and takes literally seconds to get up and running. 100% free. The Honey app is 100% free to install. Save time on searching for code. The app saves a huge amount of time on searching for applicable and non-expired discount codes before shopping as the app automatically searches each store that you visit. Supported multiple online stores and products. The app offers available discounts in tons of major online shopping, travel and other service outlets and is being added to almost daily. Save money. Big savings to be had on a wide variety of products and services – particularly with regular use. Customer support is not good. It can be a little hit and miss which can be frustrating if you’re looking for a quick answer. Coupons are not always available. Not available to use on cell phone. The Honey app is not available to cell phone users, although Honey says that this is something which is in the pipeline for the near future. The discount code is not displayed in details. The app doesn’t always give you specifics of the discount code to be applied, meaning that you will need to apply the discount before learning what it actually entails. Many discounts offered are already expired – some as far back as 2014 – which can be a little annoying. App crushing problems. The Honey app is prone to crashing and will often kick you out of a site that you are shopping on – and empty your cart so you may have to start all over again! Honey is great for saving you money on your shopping – follow our tips to save even more! When shopping on Amazon, take a look at the price display for your chosen product. Often you’ll see a badge next to the price which tells you whether or not you’re actually seeing the best possible price. This badge will let you know that a better price is available before you add the product to your cart and complete the checkout process. If you’re short on time, you can take a look at the Honey app before you even begin shopping to see if there are coupons available for your chosen store. This will allow you to decide whether or not to shop at the store or to look for an alternative. If you already have discount coupons which you didn’t get from Honey, you can still use these alongside Honey’s own discounts. Simply submit coupons to Honey by going to the Honey extension and adding your discount code to the ‘share a code’ box. Saving money is a great idea – such a great idea, in fact, that Honey is not the only online resource that can get you discounts on your shopping. Cashbackbase is a site dedicated to saving Amazon shoppers money. Free to sign up, users need to register with Cashbackbase first in order to enjoy savings of up to 100%. Once registered, users can browse the Cashbackbase site for offers on a huge number of products including tech, clothing, cosmetics and household goods. When you’ve found a deal that you want, purchase the item from Amazon in the usual way and then submit your order to Cashbackbase via your account in order to have the appropriate discount refunded to your account. Another cashback site, Ebates is Ebates offers cashback when you shop at more than 2500 stores. Boasting that it has paid members over $1 billion in cashback since its inception in 1998, members earn a bonus on joining and then receive quarterly cash back payments from their purchases by check or Paypal. To enjoy cashback, users need to register with Ebates and shop through the site. Unfortunately, Ebates is currently only available to users in the United States. To learn more, please check our Ebates review. A little different from the cashback sites, Camel Camel Camel is a price checking tool which allows Amazon customers to make sure that they’re getting the best price possible for a particular product. 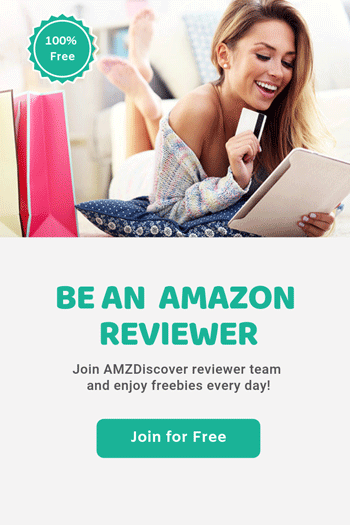 Camel Camel Camel is free and easy to join and gives members the benefit of notifications of price drops and comparisons for Amazon products. The Camelizer is part of Camel Camel Camel and is available as an extension. The Camelizer allows users to view price history charts and various product pages without having to navigate away from a retailer’s site. The Camelizer supports Firefox, Chrome and Safari and is available in a number of territories including the USA, UK, Japan, Canada, Italy and Spain. For UK customers, Quidco is a great alternative to Honey. Like Honey, Quidco has a quick and easy sign up process after which users can receive cash back on purchases either by check or by Paypal. In addition, Quidco customers can register a debit card on the site in order to receive cash back from in-store purchases. With so many savings available at just the click of a button, cashback sites are becoming more and more popular with savvy shoppers. Just make sure that you always read all of the terms and conditions for membership of the site and, the individual product purchase conditions.